Mars invests in a new ambitious cocoa strategy, in order to improve its sustainability with the Rainforest Alliance and with Fairtrade. This new investment has been welcomed with open arms by suppliers and by their peers. Mars plan to put smallholder farmers at the centre of the new strategy. Mars confectionery is one of the world’s largest cocoa buyers and this will make a hugely positive impact. The new two pillar plan will overhaul the supply. The project is called Cocoa for Generations, and it aims to help safeguard children and forests, creating a pathway for enabling cocoa farmers and cocoa growing communities to thrive. 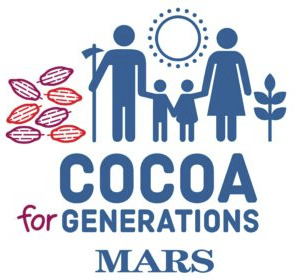 Mars new approach to cocoa goes above and beyond certification standards and is a step for change with initial commitment made from Mars in 2009. It’s quite astounding to know that Mars has been in the chocolate industry for more than 100 years. Mars states they will continue to maintain its current certified cocoa levels with Rainforest Alliance and with Fairtrade, working with both organisations as they continue to strengthen and raise the bar across the cocoa sector. As well as this, they will continue to work with the industry, governments and other civil society partners to share solutions for cocoa farming families and the surroundings.